Bluetooth, SYNC, SiriusXM, Remote Keyelss Entry, Steering Wheel Audio Control! Hot Deal! We've marked this unit down $3107 from its regular price of $16995. With carlike road manners, a quality cabin with plenty of passenger and cargo space, and an efficient base engine, the Ford Edge is a sensible choice for a five-passenger midsize crossover SUV. 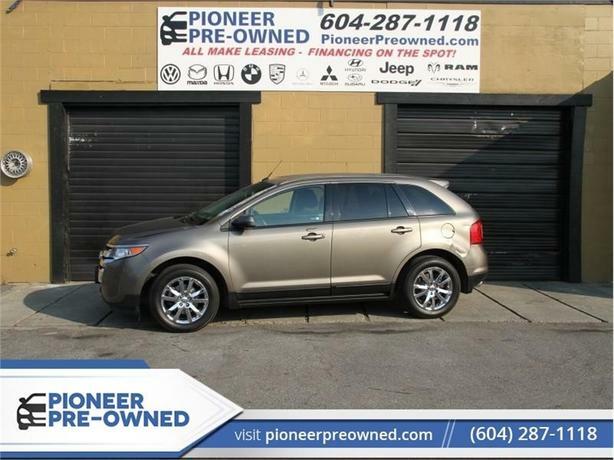 -Edmunds This 2012 Ford Edge is for sale today in Mission. Get the versatility of an SUV with car-like driving dynamics with the Ford Edge crossover. It has a smooth, comfortable ride with room for five and generous cargo space to boot. The well crafted interior is appointed with quality materials and impressive technology. Thanks to its family friendly safety features, you can drive with confidence in the Ford Edge. This SUV has 129674 kms. It's grey in colour. It has a 6 speed auto transmission and is powered by a 240HP 2.0L 4 Cylinder Engine. This vehicle has been upgraded with the following features: Bluetooth, Sync, Siriusxm, Remote Keyelss Entry, Steering Wheel Audio Control, Air Conditioning . To view the original window sticker for this vehicle view this http://www.windowsticker.forddirect.com/windowsticker.pdf?vin=2FMDK3J95CBA64592.